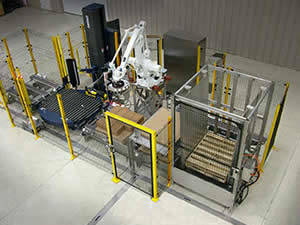 We offer leading-edge robotic palletizer and depalletizer systems that utilize sophisticated software package for standard but flexible palletizing solutions, allowing the end user to create or modify case sizes as well as pallet patterns. 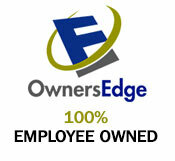 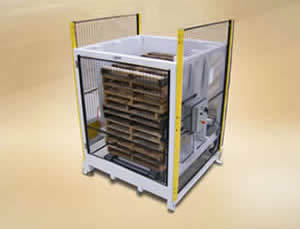 We've developed unique palletizing cells from compact foot print styles to large multi lane in and outfeed systems. 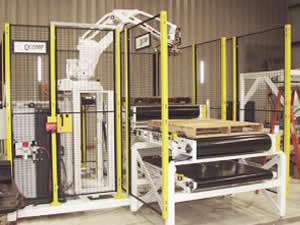 QComp's configurable palletizing cells can be adjusted to fit your space requirements while maintaining all of the latest RIA and OSHA regulations to keep your personnel safe. 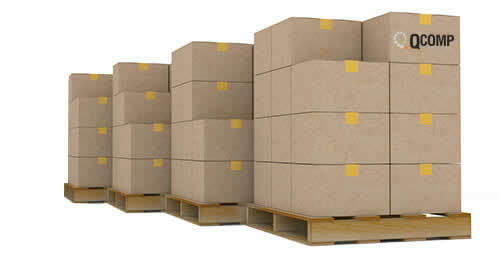 Our standard designs and customized palletizing systems can increase productivity and save you money by providing flexibility, high throughput and simple operation. 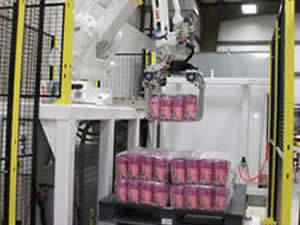 Just one of QComp's palletizing robots can palletize the production output from several production lines, resulting in a cost effective solution. 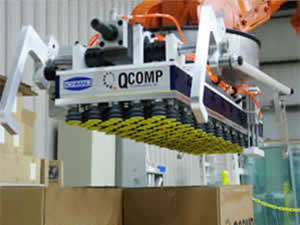 QComp's solution for palletizing hard-to-handle products was to develop several styles of grippers capable of picking up and palletizing most products. 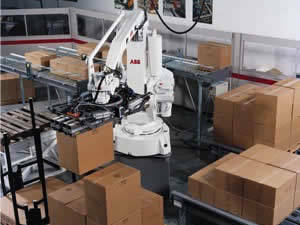 QComp can complete your robotic palletizing systems by providing and integrating upstream and downstream equipment for your palletizing systems.